Historically the Bronco was always a 2 door just like the Wrangler however if they at least offer a 2 door along side a 4 door like the Wrangler I will be happy. I would not mind suicide doors like their extended cab trucks or even the Toyota FJ. Andrew L, hbmf3 and SP1966 like this. They can always do a survey, suicide half-doors or full-size doors? Nice, this was exactly what I was thinking in my earlier post. The second set of doors are relatively small but make accessing the rear seat 100X easier while not requiring a significantly longer wheelbase or vehicle. I don't know. Maybe since Ford is just doing a front/rear refresh for the Ranger to bring it to NA, the return of the Bronco will get more development dollars. Meaning they might use the platform from the Everest or Ranger, but with all new sheetmetal for Bronco. Which offers up many options. Just looking at the modified versions of the platform shared with the Ranger and Everest, there are three different sizes there already. By comparison, the 4 door Wrangler offers a platform larger than Everest and standard Ranger. So let's say Ford does offer a more desirable/globally marketable 4 door version of a Wrangler, Ford has platform options. Also remember that the Everest is already available globally and as an off-roader, so a New Global Bronco anywhere closely based on the Everest would overlap. Which would indicate that a New Bronco should look nothing like an Everest, inside or out. Again, Ford already has Global Everest as the 4 door, go anywhere midsize SUV. A Bronco based on a similar formula would just duplicate that effort. It will be interesting to see how this all works out. Just sayin......from a business and consumer perspective, a Bronco has to target the younger, outdoors, beach going, off-road, Wrangler demographic. A giant heavy Everest like vehicle can't do that. 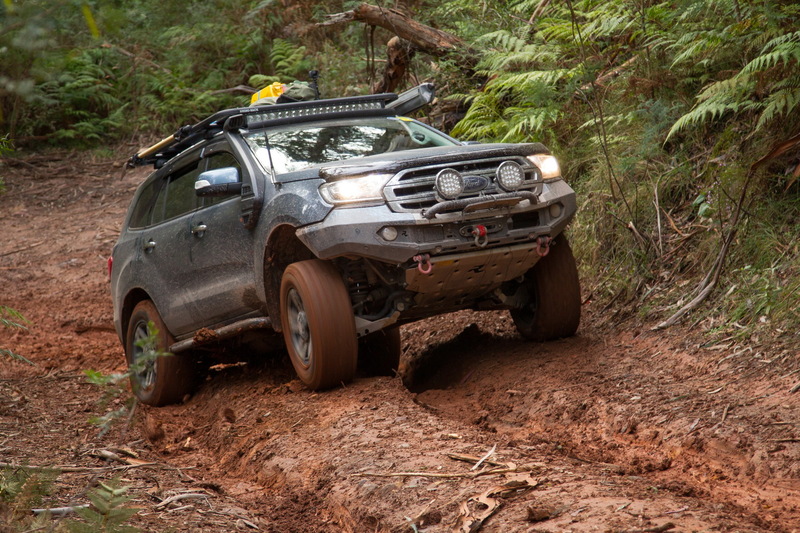 The Everest, and Ranger for that matter are both very capable off roaders as they exist today. The problem to me lies in the image aspect, simply slapping a Bronco badge on the Everest will not evoke images of the early off road Broncos nor even that of the Wrangler. I think the Everest and Explorer cover to much common ground even though they're quite different in design. It's going to be extremely hard to match the Wrangler's versatility with a fixed roof/door vehicle of any type, especially a rebadged Everest. A huge part of the Wrangler's attraction goes well beyond being a very capable off road vehicle, it's also an fun open air summer vehicle with the top and doors removed. Done right, and in the image of the first gen Bronco or current Wrangler I believe there is a huge untapped market, not so much for an Bronco in Everest clothing. Edit: Apparently that Reddit poster has been debunked! And the Bronco's roof sounds like it may not be quite as fixed as we've heard either! 2b2, Andrew L and Bloggin like this. "The details point to Ford’s Bronco rebirth being more of a Wrangler competitor than a 4Runner clone, bringing the fight to Jeep in a segment it has owned for decades. They also point to Bronco offering some features Wrangler lacks, though those details were shared off the record and can’t be reported." This is where my logic pointed me. Because nothing else made any sense from a business or consumer perspective. Where the Wrangler is, is where the growth is. 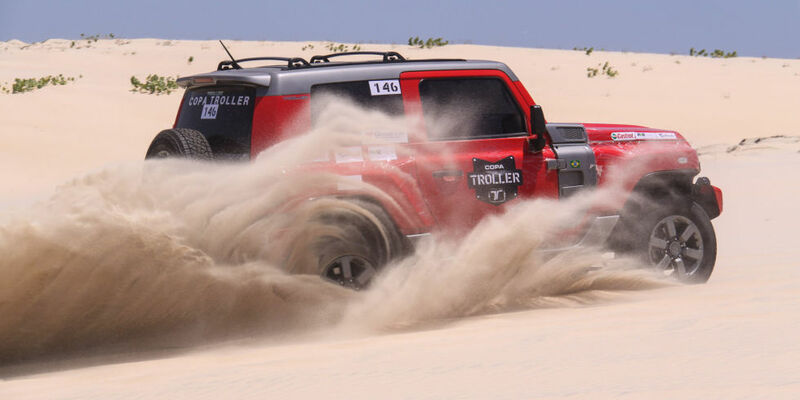 Then associate all the dollars, manpower, testing Ford is doing with Troller and the T4, that's 'limited' to the tiny market of Brazil, using a version of the global Ranger/Everest platform. That's a red flag there. I think the return of the Bronco has been in the works for several years. But as an evolved, slightly larger version of the T4, in 2 and 4-door form. Ford has to go all in to compete with Wrangler, meaning it has to hit all the aspect of Wrangler then some Wrangler is lacking. Last edited by Bloggin; 01-12-2017 at 07:19 PM. Last edited by 2b2; 01-13-2017 at 02:58 AM. Last edited by 2b2; 01-13-2017 at 12:56 PM.